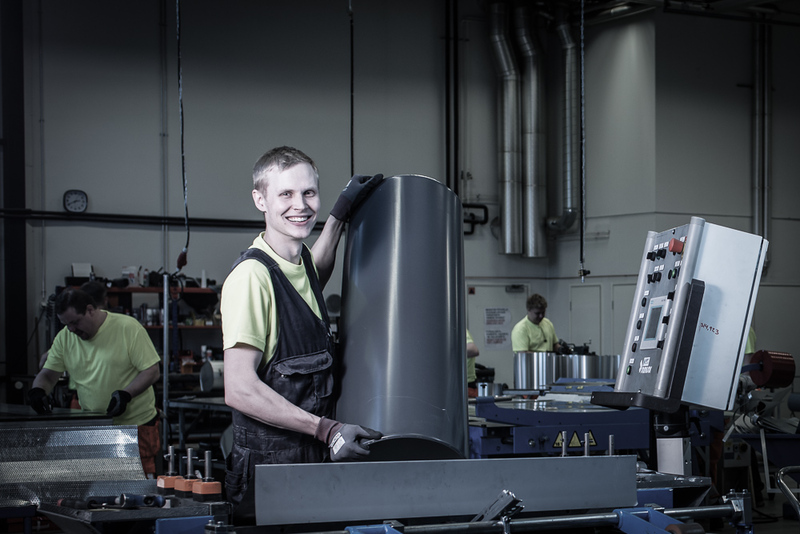 KSPT-Insulation has production lines for sheet metal claddings in Jyskä premises. We manufacture and supply sheet metal claddings in addition to our own projects also to external customers. HL-Tech Oy in Vantaa is retailer for our sheet metal claddings. Our production system and professional production personnel guarantee high-quality and easy-to-install products. In dimensioning of pipe and duct claddings the pipe section sizes of the main insulation manufacturers are taken into account comprehensively. Products are manufactured in accordance with the SFS-standards and if necessary, we can also take into account the requirements of other standards. The standard materials of the claddings are aluminium, stucco, galvanized and aluzinc sheet metals. Color and austenitic claddings are also included in our product range.